Create something beautiful for your special someone this Valentine's Day. With the Valentine's Day Card Creator you can create the perfect card for anyone on your list this year. 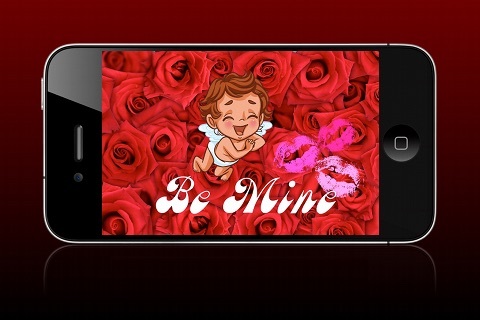 This app comes loaded with backgrounds, hearts, cupids, kisses and more. Everything you need to create the perfect ecard. If that's not enough you can even select photos from your photo album to use as a background or as decorations. Be Mine has something for everyone. There's fun decorations, elegant decorations, even whimsical decorations. Have fun creating a card with the kids to send to Grandma. 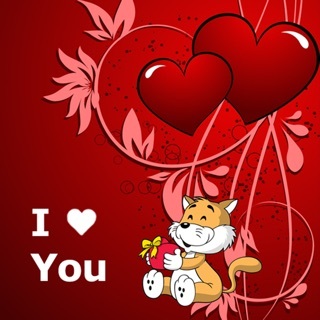 Or show your special someone how much you care by designing a card just for her. Need to send a card to some chumps at work? You can do that too. 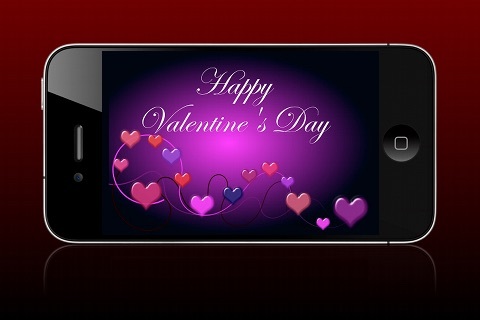 You won't find a more complete Valentine's Day card designer on the app store. 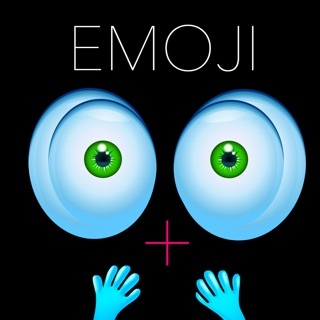 Get it now and start creating! This app is a universal app which means you can create cards on your iPhone, iPad and iPod touch. Utilize the large screen of the iPad to really get creative. 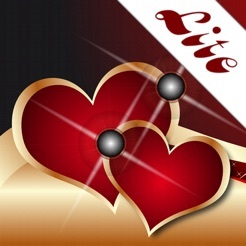 The Lite version comes with only a subset of content available in the full version. 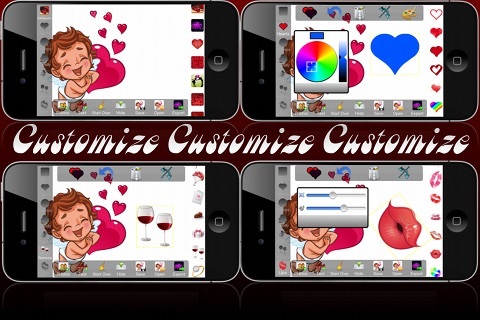 If you want access to tons more great backgrounds and decorations please download the full version of "Be Mine - Valentine's Day Card Creator"
Interface reminds me of all those Windows/PC programs I gladly left when I converted to Apple: non-intuitive, ugly GUI. The crop tool is VERY poor (can't grab handles to resize ...easily). My guess is this app existed first in some format other than iOS. I spent 5-10 minutes tweaking a photo, tries moving it to a corner, and then it disappeared. Very frustrating.